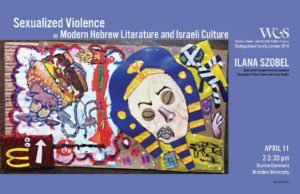 Women’s, Gender, and Sexuality Studies Program (WGS) presents the 2018-2019 Distinguished Faculty Lecture, by Professor Ilana Szobel: “Sexualized Violence in Modern Hebrew Literature and Israeli Culture.” She is Associate Professor of Modern Hebrew Literature in the Department of Near Eastern and Judaic Studies, and a core faculty member at the Women’s, Gender, and Sexuality Studies Program and here at the Schusterman Center. Her research interests include modern Hebrew literature, disability studies, women and gender studies, sexualized violence, psychoanalysis, trauma studies, and film theory. 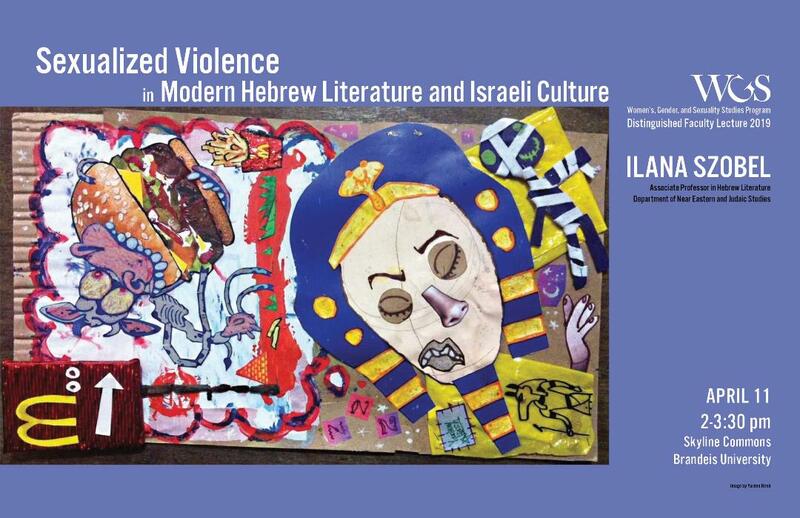 Professor Szobel is currently working on a book project, Flesh of My Flesh: Sexual Violence in Hebrew Literature and Israeli Culture, which explores the literary history of gender-based violence in Hebrew literature and situates the rhetorics of sexual aggression within the context of gender, race, disability, and Zionism. Created in 2004, the Brandeis Women’s, Gender, and Sexuality Studies Distinguished Faculty Lecture Series features a presentation each year by a Brandeis professor who is an internationally recognized scholar of women’s, gender, and sexuality studies.